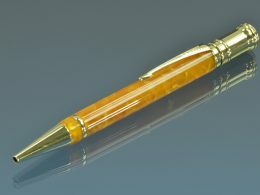 The latest from Richard L Greenwald… Hand Made Fountain Pen! 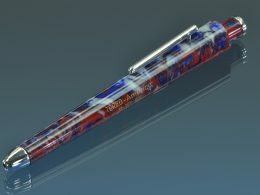 Contact us at info@richardlgreenwald.com to get more details on having a special/custom order Potomac Inkview. 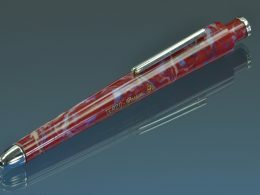 Passion Glo has a base of deep red, with a slight gold undertone. It’s swirls are a metallic lavender, a pink that glows red in the dark, and a white that glows blue in the dark.